While many folks believe pool testing needs to take place only during the beginning of the season, little do they know about the problems that can develop if pool water does not get tested at all times throughout the swimming season. Yeah, sure, pool owners want to get their water in pristine condition at the beginning of the year… and want to keep it looking good for their annual Fourth of July pool party… but something strange happens as the midday temps start to get a bit cooler and thoughts start to turn towards kids going back to school, the all-important Labor Day cookout, and pre-planning for Black Friday shopping. All of a sudden no one cares about the pool anymore — unless they want to, on a whim, actually get in it. Hmmm… If no one has TESTED the water in a while, how do you know whether or not the pH and/or alkalinity will burn your eyes, the sanitizer level will bleach your hair/swimsuit, and/or if the chlorine stabilizer has done its duty by keeping chlorine in the water in case of moments like these when you decide to take a late night, almost Fall dip? 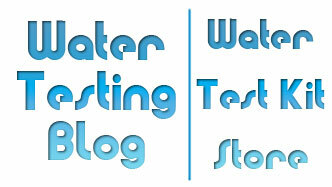 At Water Testing Blog we believe in regular water testing not only for the sake of performing tests, but rather because we have seen the consequences of untested pool water, drinking water, well water, surface water, etc. Whether you believe it or not, even the simplest and smallest amount of water testing could keep you, and more importantly your family, out of harm’s way — at least for a moment. With that said, we proudly announce the End of August Pool Testing Sale at the Pool Water Test Kits Store. Simply click either of the previous links and you will get taken to the site where you can pick up useful pool water testing supplies for 12% the regular price from now until the end of the month. The discount will get applied right before you checkout. Update: Not to feel left out of the fun, the Water Test Kit Store on our own site will also offer 12% off of all pool water test strips & pool test kits until the end of August! So, whether you choose our water test kit store or the water test kit store on our other site, you can save big on the pool testing supplies you need until the end of August! 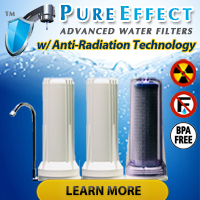 « Is Soft Water Corrosive?